Uhtred of Bebbanburg has won back his ancestral home but, threatened from all sides by enemies both old and new, he doesn't have long to enjoy the victory. In Mercia, rebellion is in the air as King Edward tries to seize control. In Wessex, rival parties scramble to settle on the identity of the next king. And across the country invading Norsemen continue their relentless incursion, ever hungry for land. Uhtred – a legendary warrior, admired and sought as an ally, feared as an adversary – finds himself once again torn between his two heritages: fighting on what he considers the wrong side, cursed by misfortune and tragedy and facing one of his most formidable enemies. Only the most astute cunning, the greatest loyalty and the most spectacular courage can save him. For decades, Uhtred has stood at the intersection between Pagan and Christian, between Saxon and Viking, between the old world he was born into and the new world being forged around him. But as the winds of change gather pace, the pressure on Uhtred as father, as politician and as warrior grows as never before. worthwhile series for anyone interested in the viking age. This is a great series. I wait eagerly for each new release. The tv series has just added to my enjoyment of the almost based on fact stories of medieval Britain dealing with Viking invaders and settlements, religious intolerance, the divine rights and incompetence of royal families and battles large and small. How they travel such long distances before maps were even drawn, quite amazes me!! A true gem of historic fiction. 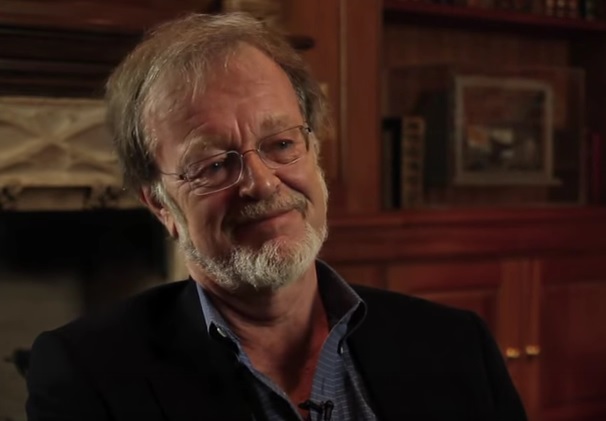 Bernard Cornwell was born in London in 1944 - a 'warbaby' - whose father was a Canadian airman and mother in Britain's Women's Auxiliary Air Force. He was adopted by a family in Essex who belonged to a religious sect called the Peculiar People (and they were), but escaped to London University and, after a stint as a teacher, he joined BBC Television where he worked for the next 10 years. He began as a researcher on the Nationwide programme and ended as Head of Current Affairs Television for the BBC in Northern Ireland. It was while working in Belfast that he met Judy, a visiting American, and fell in love. Judy was unable to move to Britain for family reasons so Bernard went to the States where he was refused a Green Card. He decided to earn a living by writing, a job that did not need a permit from the US government - and for some years he had been wanting to write the adventures of a British soldier in the Napoleonic wars - and so the Sharpe series was born. Bernard and Judy married in 1980, are still married, still live in the States and he is still writing Sharpe.